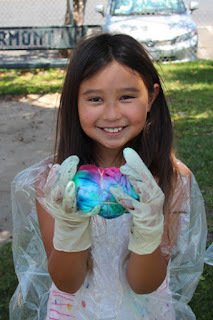 In the spirit of the latest Jurassic Park movie, here is a fossil slime recipe sure to thrill your budding scientist! 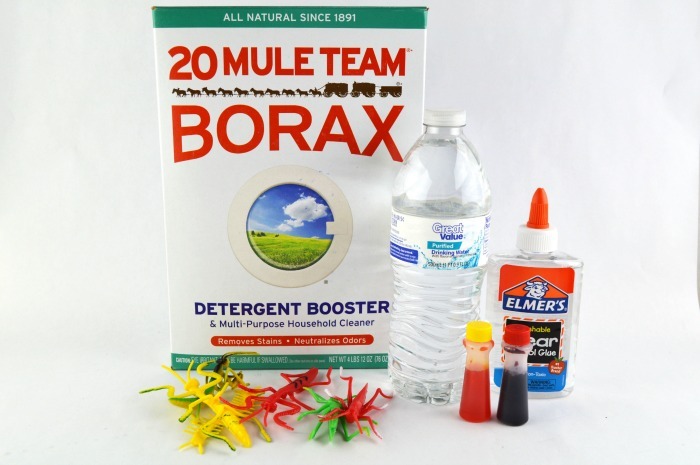 In a small bowl, combine 1 cup of water and 2 teaspoons of Borax. Stir well, then set aside. In a larger bowl, mix the remaining ½ cup of water with the entire bottle of glue. Mix well. 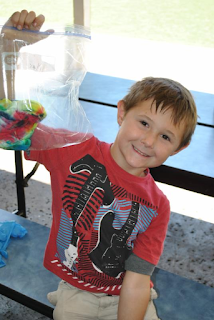 Add 1 drop of red food coloring and 3 drops of yellow food coloring into the water/glue mixture. Mix well. Add 2-3 drops of Tangerine Essential Oil. While this step is optional, it gives the slime a nice smell. 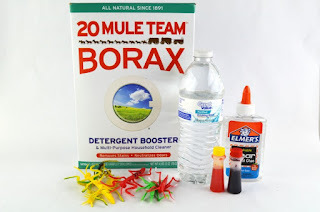 Pour your water and Borax mixture into the colored glue mixture. You will see the slime start to form immediately. 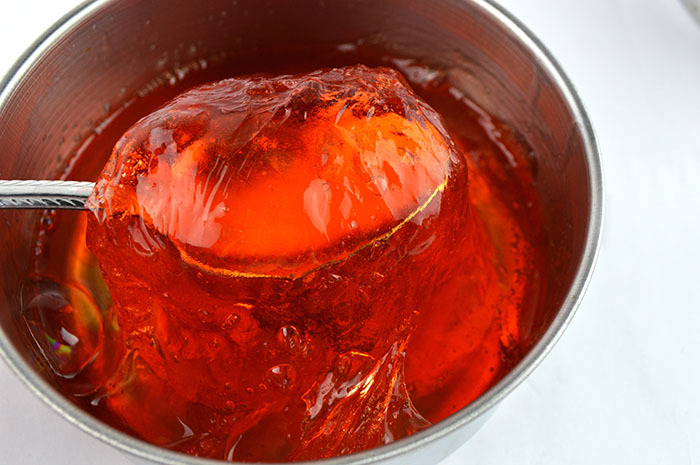 Use a spoon to mix the ingredients, then remove the slime from the bowl. You will notice some water left over. Pour out the extra water and place the slime back into the bowl. Push plastic toy insects into the slime until covered. 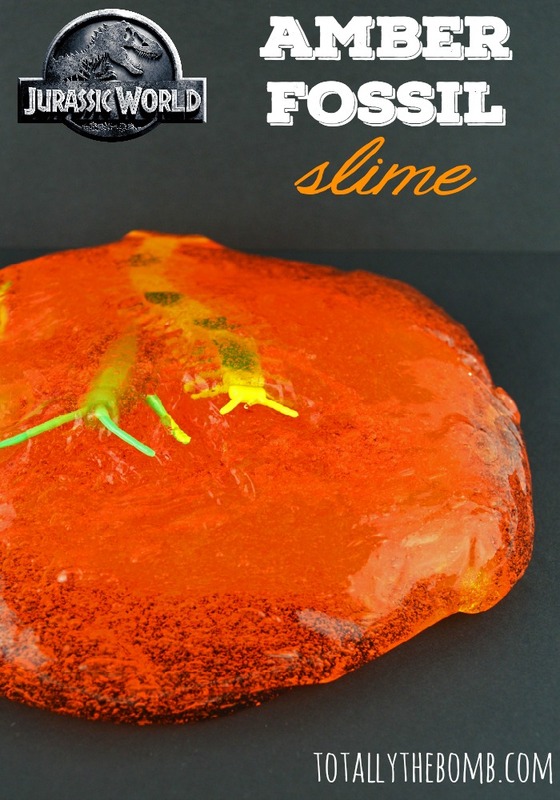 Remember that the idea behind this slime is to have fossilized insects like in the original Jurassic Park movie. Allow the slime to set for a few minutes before using. When the kids are done, store in an airtight container, such as Tupperware, for future use. 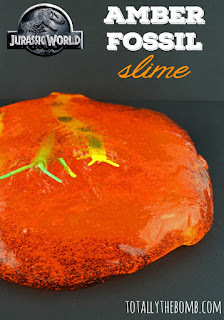 To view the original recipe, visit TotallyTheBomb.Com: Jurassic World Inspired Amber Fossil Slime! Involve your child in the kitchen and task them with measuring and stirring. 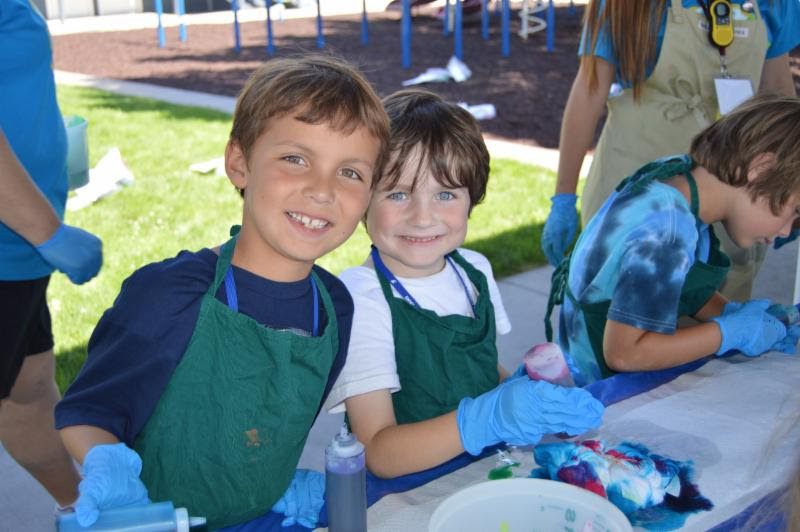 Children will learn to scoop, pour, and stir using spoons and measuring cups. Not only does this boost motor skills, but fosters confidence in your child as he or she discovers that you value their help. Create a sensory bin by partially filling a container with rice or sand, then burying small items such as buttons, coins, small toys, and macaroni. Encourage your child to dig for the items with a spoon and remove them from the bin with a clothespin. 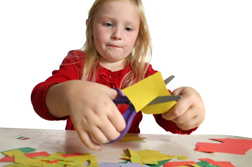 Purchase safety scissors and allow your child to practice cutting different kinds of paper. Supply him or her with newspaper, recycled printer paper, and tissue paper. The different materials will help your child determine a sense of pressure and cutting strength when using different types of paper. Also, be sure to help your child focus on gripping the scissors correctly. Draw large, simple shapes on recycled paper and have your child tear the paper along the shape’s edges. This will also foster fine motor skills, concentration, and shape identification. Find some string and large beads for your preschooler to thread. This will not only help boost their fine motor skills, but provides a great teaching moment for identifying colors, shapes, and patterns. An alternative to this exercise is to punch holes into a paper plate and number the holes with a marker. Have your child numerically thread a long piece of string through the corresponding holes. Create a sensory board to help your child learn to open and close specific items. Incorporating shoelaces, velcro strips, clothing zippers, and other materials will help him or her acclimate to getting dressed and tying shoes by themselves. 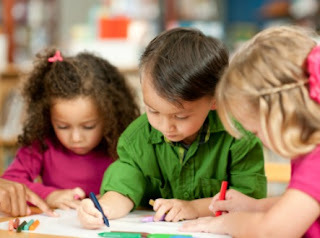 Encourage your child to draw and color. 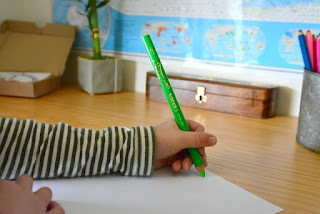 The more exposure to holding a writing utensil, the more prepared your child will be for learning to write with a pencil. 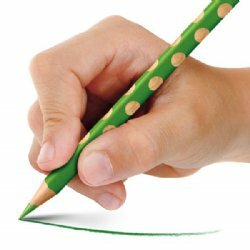 As with scissors, ensure that your child is gripping the writing utensils correctly. 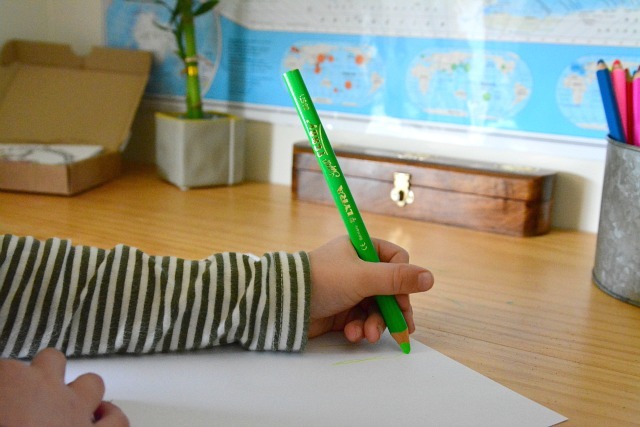 When focusing on fine motor skills, your child is not only preparing his or herself to write in the classroom, but is also engaging creatively with different shapes and colors. For more fine motor tips, reference THE FAIRMONT FIVE: Developing Fine Motor Skills or visit the Fairmont Early Childhood Education Pinterest board! How will you know when your child is ready for kindergarten? What skills are essential for succeeding in the classroom? 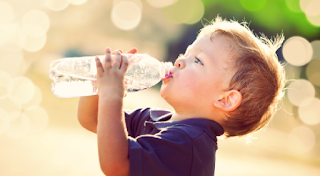 This six-part series will help prepare your preschool student for kindergarten. 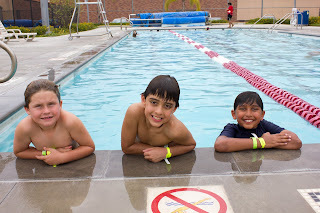 Buckle your seatbelt and prepare for the rewarding road to elementary school! 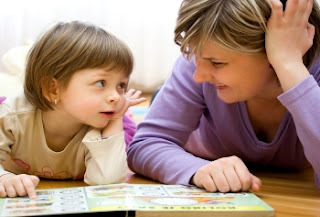 Incorporating games that encourage children to react with words or actions will help them develop a sense of what it means to be an active listener and encourage appropriate behavior in the classroom. Tune in next Monday to learn some handy tips for teaching your child to follow directions!